Custom manufactured clad composite wire which is an effective alternative to solid wires with marker bands to improve the visibility of implantable devices is available from Anomet Products, Inc. of Shrewsbury, MA. 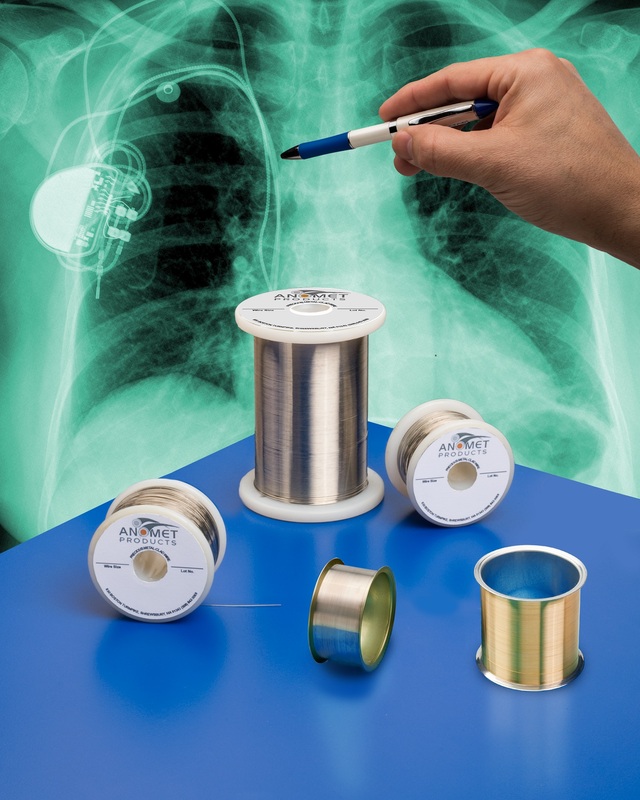 Anomet Radiopaque Clad Wires allow OEMs to specify the degree of visibility they desire under fluoroscopy by selecting the radiopaque alloys and cladding thickness best suited for their product. Easier to see than solid wires with marker bands, they are offered in sizes from 0.05mm to 1.52mm O.D. for use with stents, guide wires, and related devices. Featuring platinum-iridium, tantalum, tantalum-tungsten, and similar alloys metallurgically bonded to high strength wires such as 316LVM stainless steel, nitinol, and MP35N® with 2% or more cladding thickness, Anomet Radiopaque Clad Wires have a smooth, consistent finish. Manufactured to precise OEM specifications, they are supplied on spools. Anomet Radiopaque Clad Wires are priced according to composition and quantity. Samples and price quotations are available upon request.